Get ready for an amazingly fun Patatfees weekend, full of Live Music! Ticket Price R60 Online, R60 at the door. 9-11pm: Main Act – Akkedis Blues/Rock Band. Akkedis can be dubbed as the stepchildren of South African rock ‘n roll. The infamous Dennis-twins, Arthur and Rudolph, strummed their first chord at the age of 12 after being exposed to everyone from Neil Young to Bob Marley. When Adrian John Graham joined the group, their sound progressed into the timeless rock sound South Africans have known and enjoyed for over two decades.They average 4 shows a week and have no intention of slowing down anytime soon. African, reggae, blues, rock, folk, Zulu, Afrikaans, English, there’s nothing these boys can’t do. 7:15pm – 8:45pm : Napier Trio, Vocal driven local act. Playing Easy listening jazz, R&B, pop covers. The seven band members of The Country Conquerors are from the small villages, Heuwelkroon and Bosmanskloof, that lie nestled against the Riversonderend mountain range and forms part of the TWK (Theewaterskloof) Municipality. 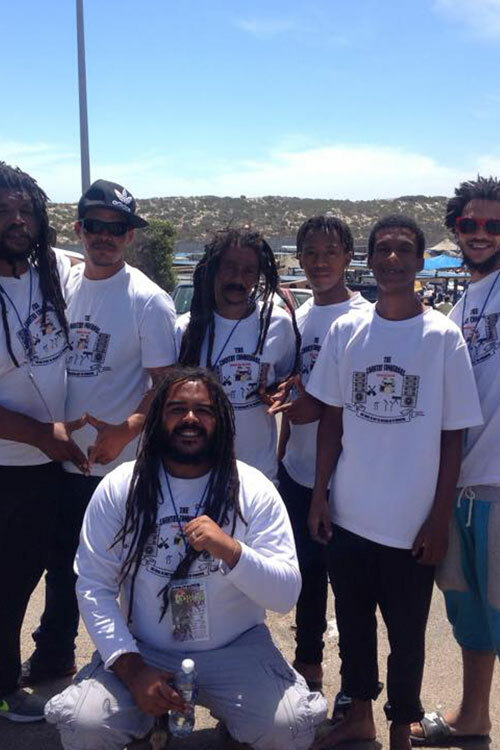 The band has a particularly unique quality, a brand of Reggae that has been influenced by the traditional music of the Overberg. The fact that they are a predominantly Afrikaans Reggae band is unusual in itself, possibly the only Afrikaans reggae band in the world, but what really sets them apart is the fact that they are original; they write their own lyrics and compose their own music, they are always so entertaining and not to be missed at the JD Bistro on Saturday night!